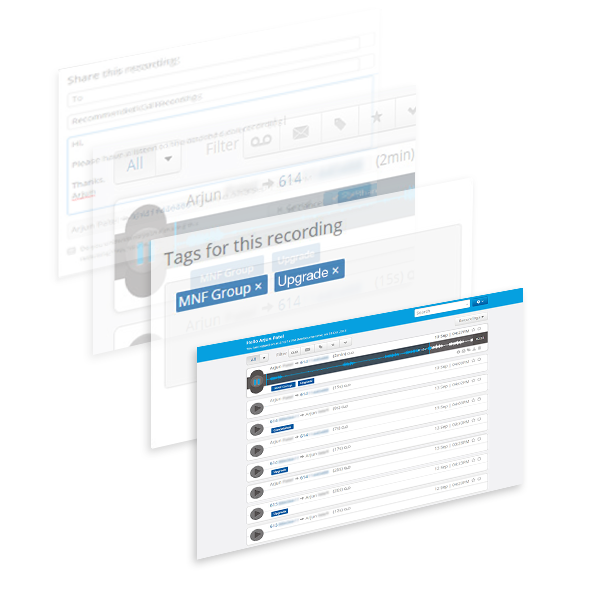 Cloud Recording allows call recording to be accessible and scalable to businesses of all sizes. Achieve more from business calls with a SaaS offering that has transformed how businesses interact with calls, converting them into one of their largest business assets. Cloud Recording can be deployed in conjunction with enterprise SIP trunks and UC solutions. 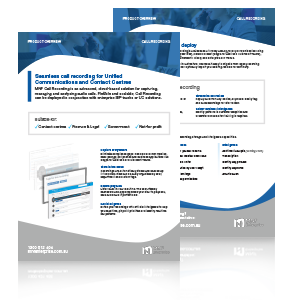 Enhance customer relationships by capturing and managing communications with Cloud Recording. Record calls from mobiles, deskphones, softphones and business applications like Skype for Business and Microsoft Teams. Housed in a single native cloud platform, Cloud Recording enables call capture and engagement to be easily accessible from anywhere, any platform, any device. Increase transparency and productivity with the Playback feature. Users can build up a record of saved conversations, which are then available to replay and relieve at any time through their own private dashboard using a web, mobile, or desk phone app for playback or share to others. Unlock new insights with call intelligence such as smart searches, sentiment analysis and speech intelligence. Save time, pinpoint priorities and identify real-time call patterns. Cloud Recording allows businesses to grow without worrying about storage limits. Have peace of mind that your all work is securely, automatically saved and backed-up all the time in the cloud. Create new layers of benefits and advanced applications with Cloud Recording as an add-on feature to your existing tools. Cloud Recording can be deployed in conjucntion with services including inbound (13/1300/1800), Cloud Connect, UC Connect and Enterprise SIP Trunks. We offer seamless integration of Cloud Recording into your existing business applications. Available for CRM including Salesforce, Microsoft Dynamics and generally any other SaaS/Cloud application. All captured communications are safely stored in our infrastructure within the region to satisfy all data sovereignty requirements. Listen back in near real-time. Identify real-time trends with artifical intelligence.